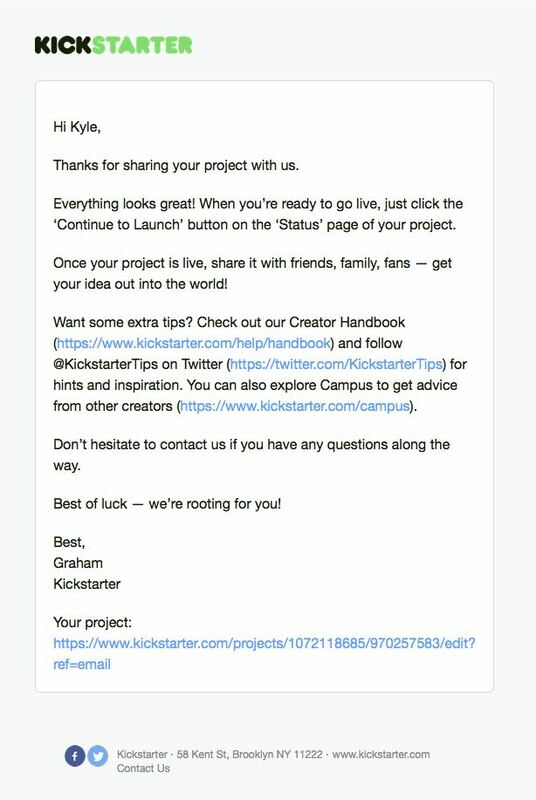 Launched in 2009, Kickstarter fundamentally changed the way we think about financial funding of creative projects by enabling creators to post project ideas to their site and receive funding from the Kickstarter community. 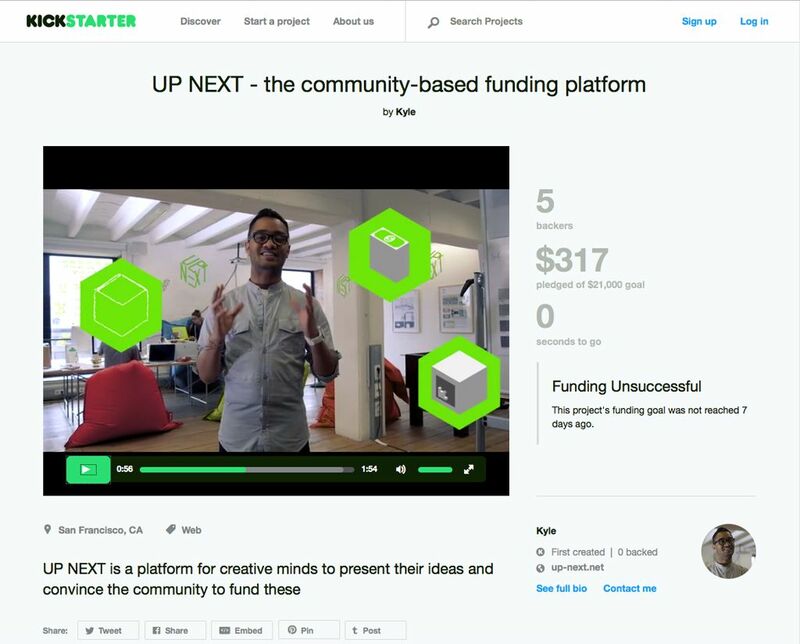 We launched a very special project idea on Kickstarter: UP NEXT – A website that will fundamentally change the way we think about financial funding of creative projects by enabling creators to post project ideas to their site and receive funding from the UP NEXT community. 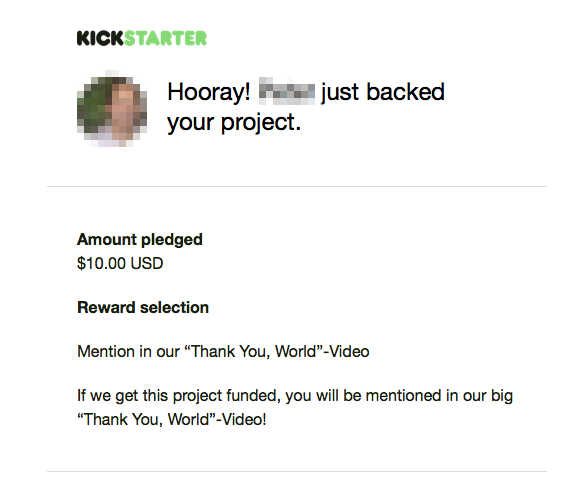 Each day there are hundreds of projects submitted to the crowdfunding platform kickstarter.com. 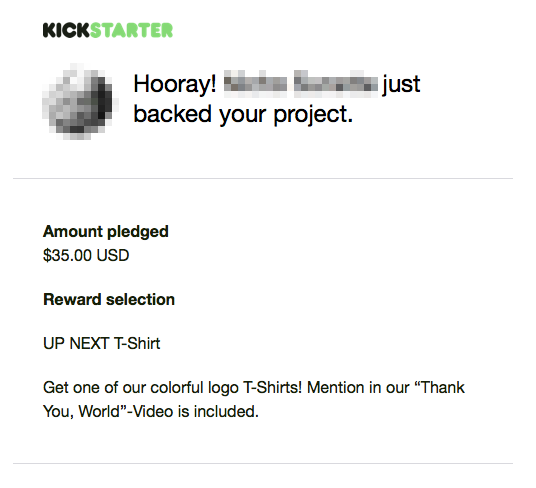 One very particular project managed to slip through the eyes of Graham, a Kickstarter employee. 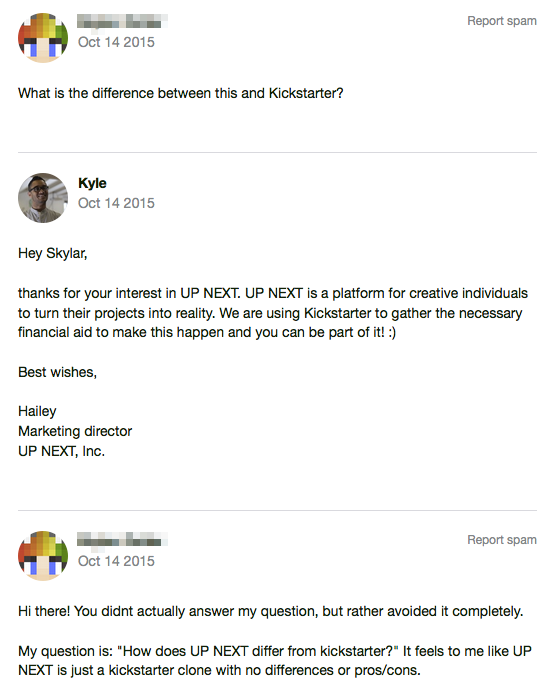 This project is an exact copy of Kickstarter’s business model, posing a threat to its very existence. 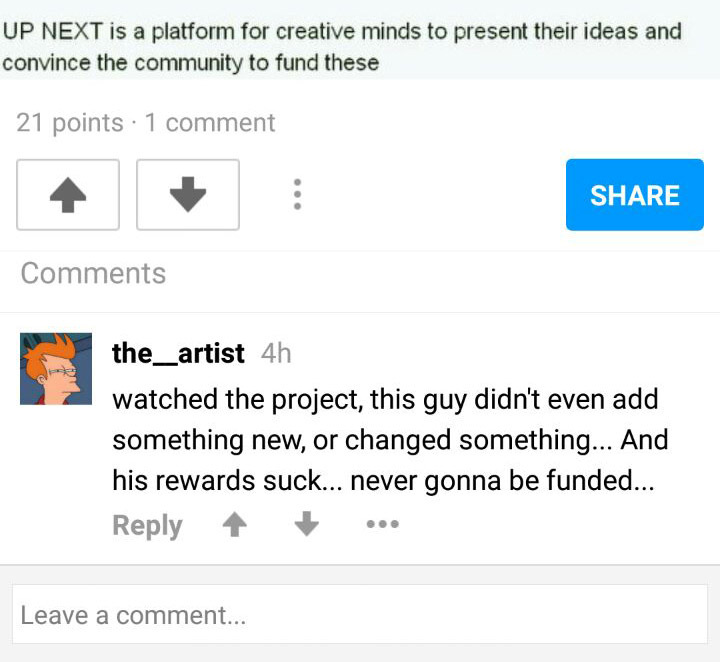 Maybe the impression of the project seemed legit. 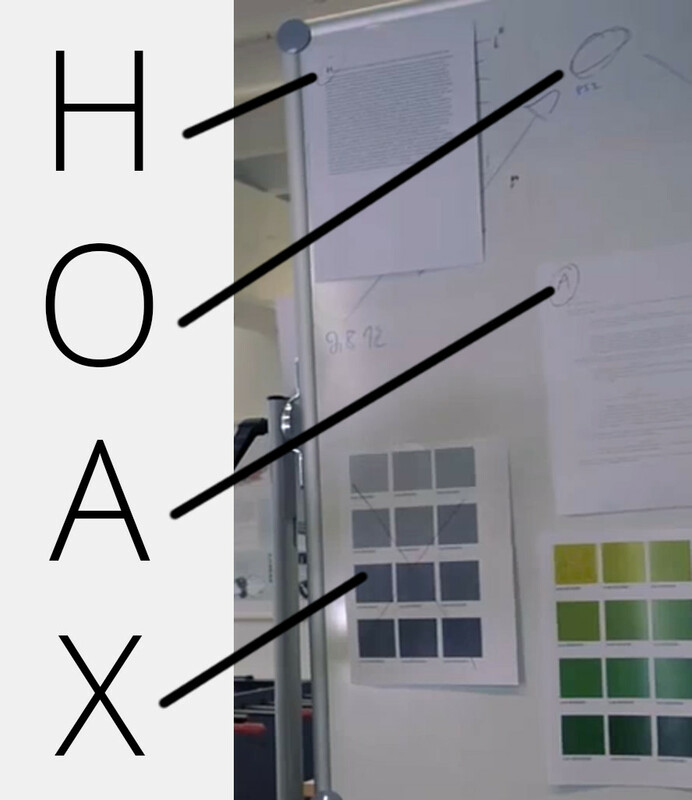 After all it contained a professionally shot video, an entire corporate identity, conclusive written content and a valid identity behind the project. 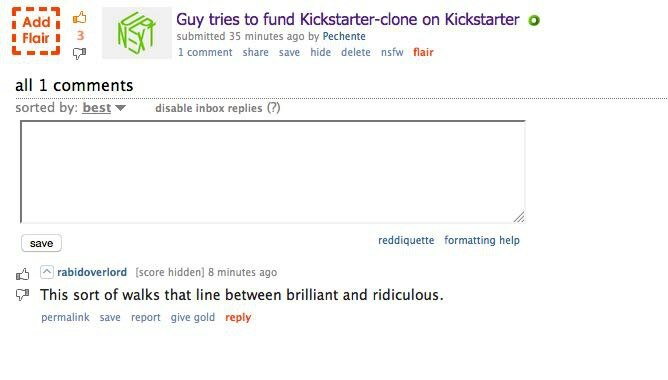 UP NEXT Kickstarter Project Page Seeing the reaction from different corners of the internet, Graham was not the only one who fell for the hoax.